A Christmas Carol and Great Expectations by Charles Dickens are in the 9th grade honors curriculum at Wamogo High School. Selections (chapters 1 -3) of Oliver Twist are in the 10th grade college prep curriculum to complement the Industrial Revolution unit taught by the Social Studies Department. 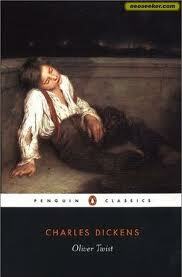 Our student do like the novels by Dickens…once the book is completed. They enjoy the complicated plot twists…once the twists have ended. They remember the quirky characters…once the book has been turned in. A problem with all novels by Dickens is the length. Simply, he got paid by the word. 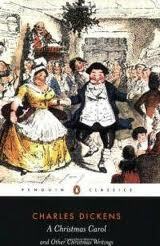 A problem with Dickens is the vocabulary. He liked to use long and complicated words. A problem with Dickens is his sentence structure. He used complex sentences. From a student’s point of view, sentences like these appear puzzling. Young Oliver’s adventures are just starting in Chapter 2…and there are 51 more chapters like this one! Reading a Dickens’ novel or a passage requires focus and determination. There is much to be gained by sticking with Dickens, to pushing students out of their comfort zone of 21st Century twittering and texting. Students can develop skills in following the main idea in a selected passage of text. Students can rephrase Dickens’ sentences to better understand his satire. Students can imitate his writing the way painters imitate great artists using his work as “mentor texts”. Finally, students can comment on Dickens’ characters and make connections of these characters to contemporary people, because that is exactly what Dickens did to his own contemporaries. To date, the cost for these titles? Nothing. The results of teaching the most popular English novelist of the Victorian Era? Priceless.